So I have seen this beer a couple different times and have been wanting to try it, finally I grabbed it. 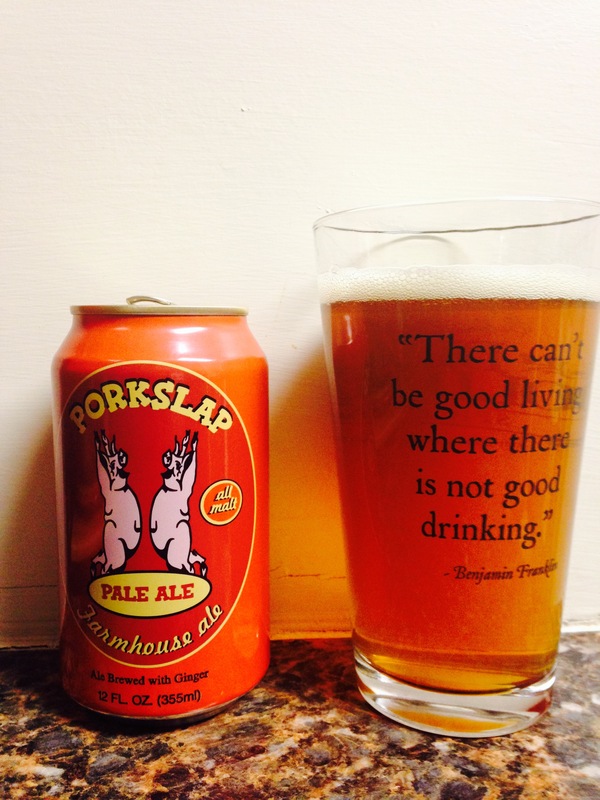 Butternuts beer and ale brewery from Garrattsville, NY produced “Porkslap pale ale”. I have to say I am quite unimpressed, it has a low alc content 4.5%. It says it’s brewed with ginger but I can’t taste it at all. Overall, it’s pretty weak. 1.5 stars, not worth buying.